١ Indian Tamil Hindu devotees perform a ritual during the 'Panguni Uthiram' festival in Jalandhar. The festival is observed in the Tamil month of Panguni and is celebrated to honour the Hindu God Murugan. 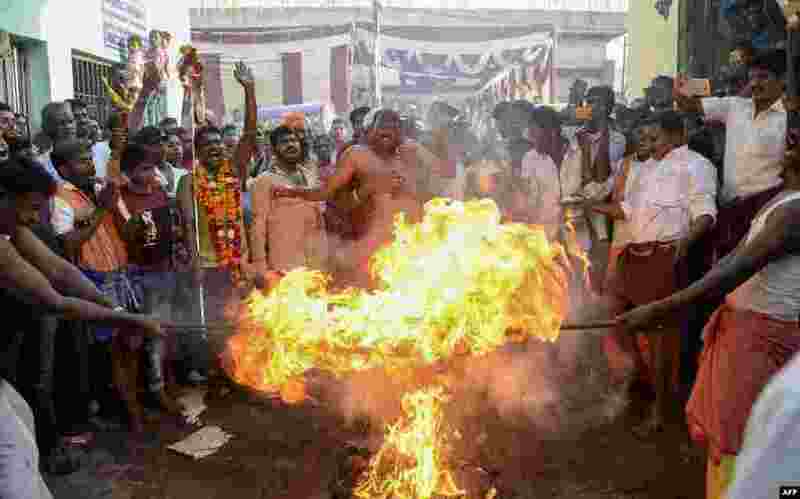 Devotees make offerings through sacrificial feats they believe will keep them away from evil spirits. 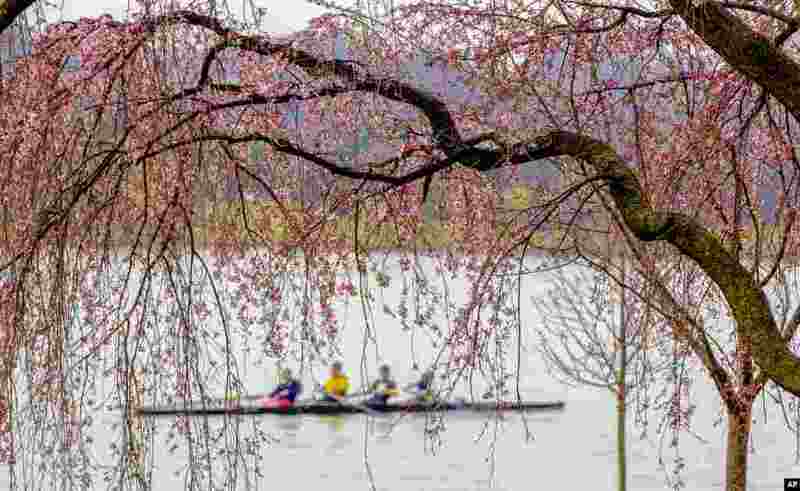 ٢ Rowers skim the Potomac River in Washington, Wednesday, March 28, 2018, framed by the emerging blossoms of a weeping cherry tree. The National Park Service has updated its peak bloom forecast for April 8 through April 12, 2018. 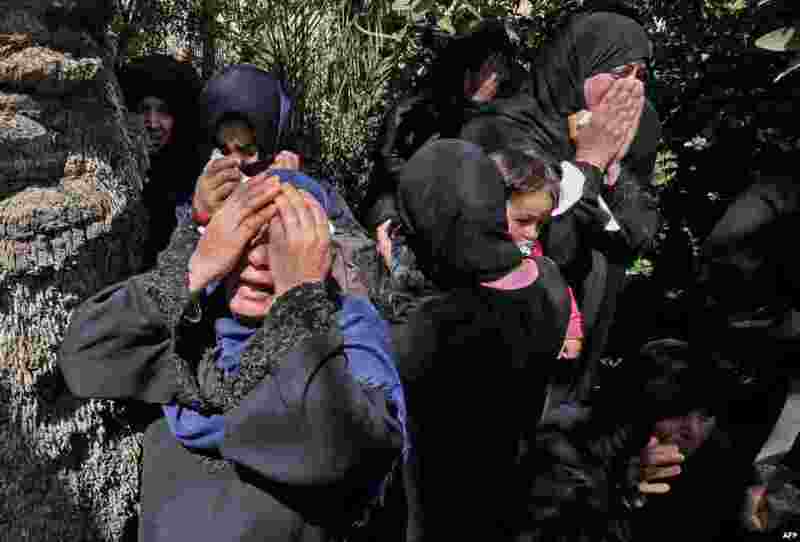 ٣ Relatives of 27-year-old Palestinian farmer Omar Samour, who was killed earlier in the day by Israeli tank fire, mourn during a funerary procession in Khan Yunis in the southern Gaza strip. 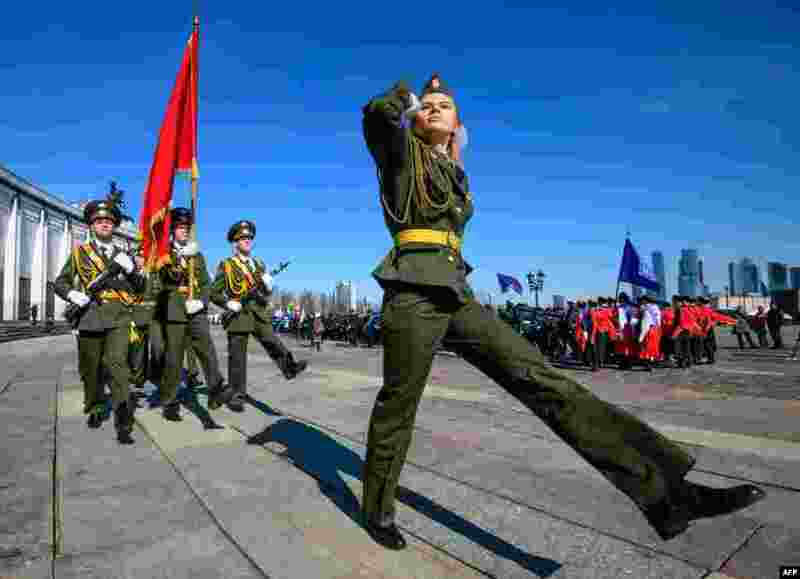 ٤ Russian cadets march during the annual cadet schools get-together in Moscow.